If you operate a pharmacy that’s considering unveiling a line of store brand dietary supplements, the supplement labels you use for the new products could impact the health of customers. 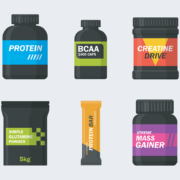 Below, we take a look at five key features of dietary supplement labels that your label provider should include on the labels you order, excluding the obvious features of listing the supplement name on the front of the container and posting recommended dosage information on the reverse. Like many prescription medications, some vitamins have undesirable side effects. For example, Vitamin C pills that are chewed can weaken tooth enamel. It’s roughly the same thing that happens when you drink a glass of lemonade that’s heavy on lemon. This side effect doesn’t put lives at risk, so it’s crucial — meaning it should be considered — but not critical. Let’s say that one of your new store brand supplements is St. John’s Wort — an over the counter (OTC) herb that’s reputed to have positive effects on clinical depression. However, if you stack the herb on top of an antidepressant you’re already taking, you could experience a life threatening condition called serotonin syndrome. This deserves a critical side effect warning. Many people think you can’t overdose on dietary supplements because they’re sold OTC and don’t require a physician’s permission. 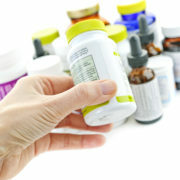 However, taking too much of a vitamin can indeed cause serious health problems. For example, taking too much vitamin D can cause permanent damage to your kidneys and heart. With many vitamins, you can have too much of a good thing. Just because a supplement is anecdotally known to be a good remedy for a health ailment doesn’t mean it should be considered on par with prescription medications. In fact, according to Food and Drug Administration (FDA) rules and regulations, it’s illegal to promote dietary supplements in this manner. For example, while it helps people relax, valerian root extract should ideally have a disclaimer that indicates it’s not intended to replace medical therapy for sleep disorders. 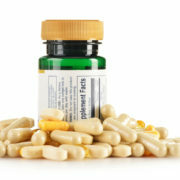 There are lots of supplements pregnant women should avoid taking that would be fine for them to take otherwise. For example, blue cohosh and pennyroyal are considered toxic during pregnancy, while andrographis, boldo, essential oils, feverfew, juniper, licorice, nettle, red clover, rosemary, shepherd’s purse, and yarrow are considered dangerous and should be taken with extreme caution. Listing pregnancy warnings helps parents care for unborn children. Since 1983, Flexo-Graphics has provided best-in-class print and graphics solutions to companies in the industrial, consumer, food and beverage, automotive, and appliance sectors. We can produce designs on your behalf or take an image that you designed and apply it to the package. We serve small businesses, large corporations, and everything in-between. To inquire about our dietary supplement labels or other products, call us today at (262) 790-2740, or fill out the contact form on our website. We look forward to supplying best-in-class supplement labels! 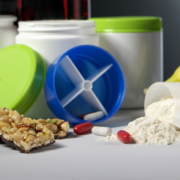 The supplement industry accounts for about 37 billion dollars a year in sale, and is expected to reach a whopping 270 billion by the year 2024. At least that’s what analyst are predicting. Google has opened a whole new world to both the young and old. With health research just a keystroke away, and sponsored advertising flooding our social media news feeds, consumers are gobbling up nutraceuticals like never before. It’s true that shopping has never been easier, but with easy shopping comes fierce competition. Manufacturers should be investigating every option available to capture as much market share as possible. The smart money will invest research on what younger buyers want. One critical element not to be overlooked is packaging. 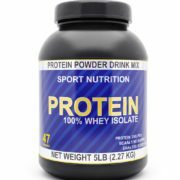 Below we examine what type of nutraceutical packaging is important to millennials and generation z as consumers. Sustainable Packaging – Sustainable packaging is not a fad. Younger buyers not only hope to find green packaging while shopping, many insist upon it. Eco-friendly and biodegradable packaging both appeal to millennials and gen z’s, while at a minimum they expect their nutraceutical packaging to be recyclable. On the Go Packaging – Millennials and gen z’s are on the move, and they want their nutraceuticals to be easy to transport. Travel size packaging that takes up less space, and allows for easy storage will be very attractive to these consumers. Convenience – With a smarter, faster-moving generation, comes the need for smarter, faster packaging. Convenience is the name of the game, so single use packaging with premeasured dosage is a big win with these consumers. Product packaging and labels play a critical role in customer selection, and in the case of millennials and gen z’s their tastes are even more refined. Today’s investment in state of the art nutraceutical packaging will go a long way in creating customer loyalty with younger consumers. 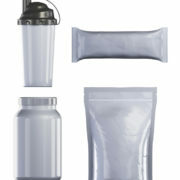 Ready to Shop Nutraceutical Packaging? At Flexo-Graphics, we have years of experience with creative packaging and labeling. 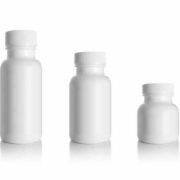 Our knowledgeable team can help you choose the right materials and processes to provide nutraceutical packaging that will stand out from the competition and set your brand apart. Our team is ready to help you work out all the details to create the best packaging available! Call us today, or simply fill out our contact form for more information. 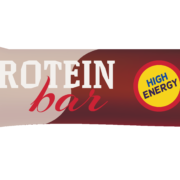 https://flexo-graphics.com/wp-content/uploads/NutraceuticalPackaging.png 872 1200 fgadmin /wp-content/uploads/flexologoOLG.jpeg fgadmin2019-02-01 22:32:152019-02-01 22:32:31Nutraceutical Packaging – What Do Consumers Want? Nutraceutical marketing is a broad term including dietary supplements, food additives, and other nutrient enriched products offering health benefits to the user. The benefits could be a specific vitamin or supplement the individual might be missing from their diet. Over the years, this market has exploded as more individuals seek alternative options over the expensive cost of medical care. This interest also increases the competitiveness of product manufacturers in the nutraceutical industry. 1. A large part of the population is rapidly aging. 2. People are becoming increasingly health conscious. New products are constantly pouring into the market to meet this ever-growing demand. Take a second to look at the health bar choices in a grocery store and then magnify the overwhelming degree of choices. Regardless of the product type, competition is guaranteed! 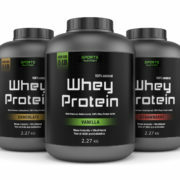 Whether you are new to nutraceutical marketing or a seasoned veteran, several approaches can be taken to boost consumer appeal including simple labeling changes. One of the first steps to successful labeling and marketing is becoming familiar with your target market. Take time to evaluate where a product falls within the industry and where it is going. This will help in developing a marketing campaign including logos, product slogans, packing, and labeling combination capable of getting merchandise noticed. While recognition may come from other locations as well, these are frequently common for learning about a new or existing product. A memorable logo and slogan work great for gaining attention. Incorporating this into a well-designed label will make it easier to attract customers online and in stores. As the marketing cornerstone of any type of merchandise, the label must not only meet federal guidelines, but also provide a clear message to consumers. It needs to be professional, easy to understand, and designed to peak interest in your target marketing demographic. Consumers want products that have been created using sustainable methods, are environmentally friendly, and offer the healthiest option. A sale is more likely if this message is conveyed by grabbing the consumers attention with this information. Our team at Flexo-Graphics would love to help you put together a label design to further promote your brand and gain the attention of consumers. If you are uncertain as to what materials and options are best or simply need someone to help put your product image to reality, contact us today!